While Sub Zero refrigerators are definitely one of the most reliable high-end appliances you can buy, even a Sub Zero refrigerator may need repair from time to time. 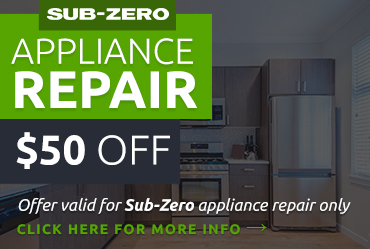 Fortunately, getting the Sub Zero refrigerator repair in Charter Oak CA that you need is easy when you trust American Appliance Repair to help you. 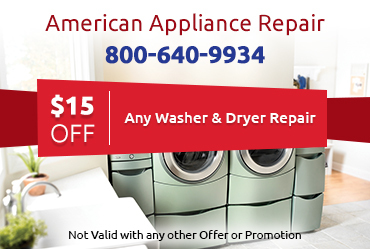 We strive to provide same-day repair service to our customers whenever possible. Sub Zero refrigerators definitely stand out from the crowd. They incorporate many new technologies to support exceptional food freshness and preservation , like built-in air purification systems designed to remove odors, bacteria, and the ethylene gas that hastens the spoilage of fresh produce. Providing effective Sub Zero refrigerator repair in Charter Oak CA requires an expert understanding of all the features that are unique to Sub Zero. Because we encourage our technicians to specialize, we have plenty of workers who are experts in Sub Zero repair. 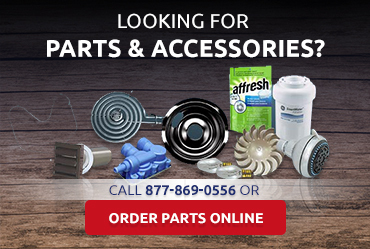 They are eager to help you figure out what's wrong with your unit and provide the necessary repair. As with any type of high-tech machine, maintenance is a necessary part of caring for your Sub Zero refrigerator. 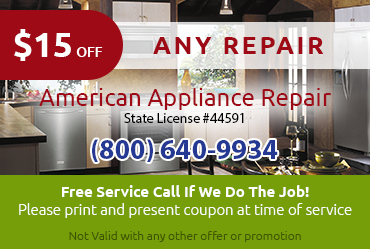 Fortunately, you can find the specialized maintenance your Sub Zero fridge needs at American Appliance Repair. Simply by cleaning your condenser coils, we can help keep your unit working at peak efficiency so your food stays colder and your energy bills stay lower. We also provide inspections and preventative repairs. When you’re ready to get a professional estimate on your Sub Zero refrigerator repair in Charter Oak CA, just give us a call or fill out our convenient online form. Don’t forget to browse our coupons page for valuable savings.